Estadio San Mamés replaced Athlétic’s old stadium with the same name, which had served the club for almost 100 years, but could not offer the facilities of modern-day stadiums. First plans for the construction of a new stadium were made as early as 2004, and first contracts were signed by the end of 2006. Athlétic presented the definite plans for the stadium in 2009, and building works started late 2010. The new Estadio San Mames officially opened on 16 September 2013 with a league match between Athlétic and Celta de Vigo (3-2). At that moment, only three-quarters of the stadium had been completed as one end had been left open to allow Athlétic to keep playing their home matches at the old San Mamés while the new stadium got constructed. Works continued on the remaining end during the 2013-14 season, and were completed before the start of the 2014-15 season. 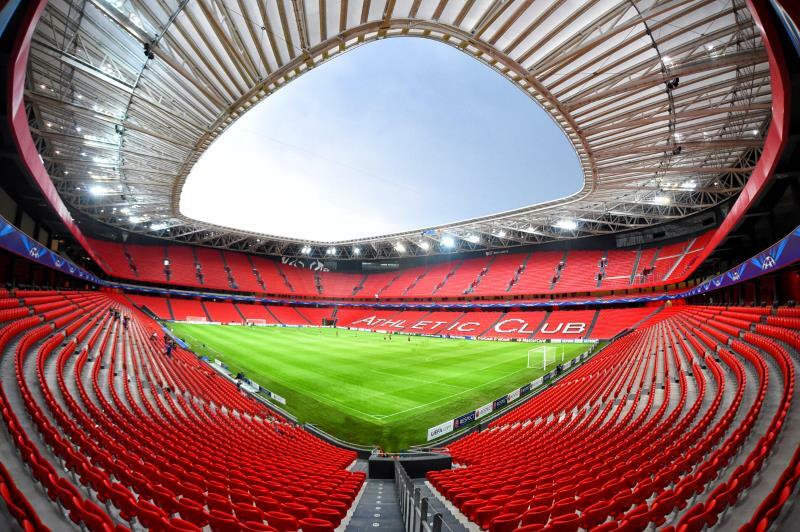 Estadio San Mames has been selected as one of the playing venues of the Euro 2020 Championships that is played across Europe. Alternatively, the stadium can be reached by metro. Both Bilbao’s two metro lines pass the stadium. Take the metro at Casco Viejo in the old centre or at Abando at the railway stations, and get off after a few stops at station San Mames. 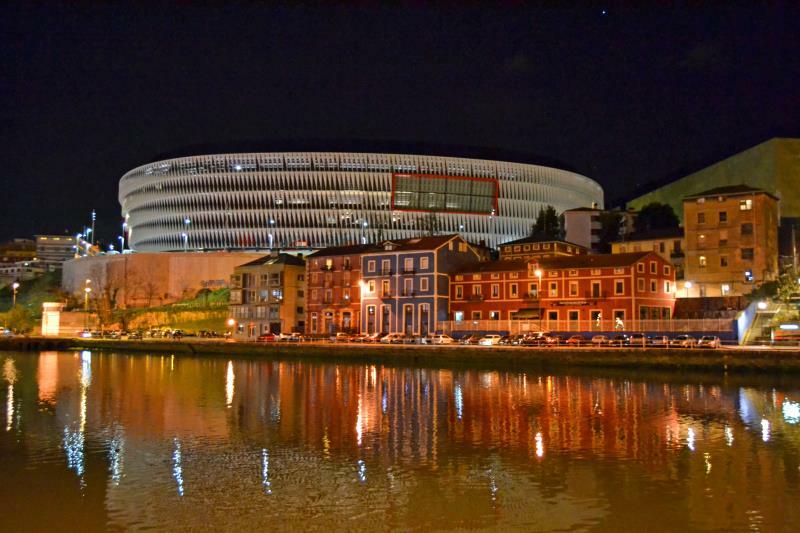 Estadio San Mamés is located on the edge of Bilbao’s city centre, which means that there is a good amount of cafes, bars, and restaurants in the area. Further nightlife can be found further east in the historic centre (Casco Viejo) and around the railway stations. There are various hotels close to Estadio San Mamés. 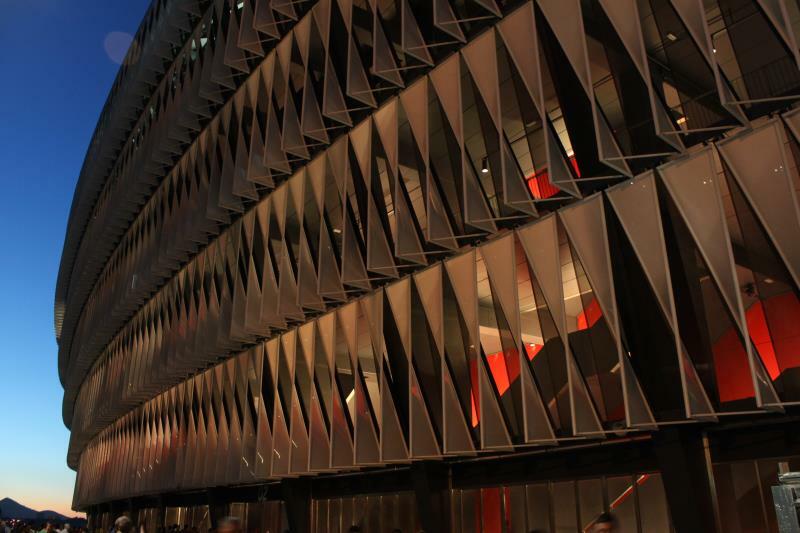 Hotel Hesperia Zubialde, Hotel San Mames, Hotel Abba Parque, and NH Villa de Bilbao all get good reviews and are at just a few minutes walking from the stadium. Click here for all hotels near San Mames, and here for options closer to the historic centre. 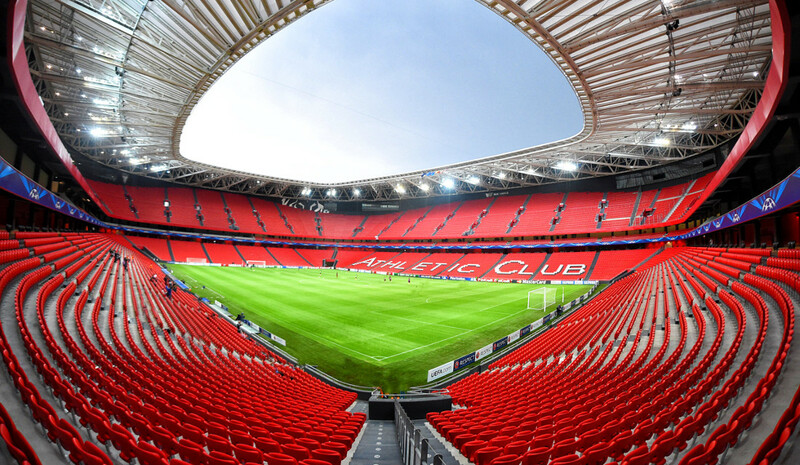 Tickets for Athletic Club matches can be bought online, or at the ticket windows of San Mames from two days before the match (in the morning and evening hours). Tickets are also available at the ticket windows of San Mamés from two hours before the start of the match. 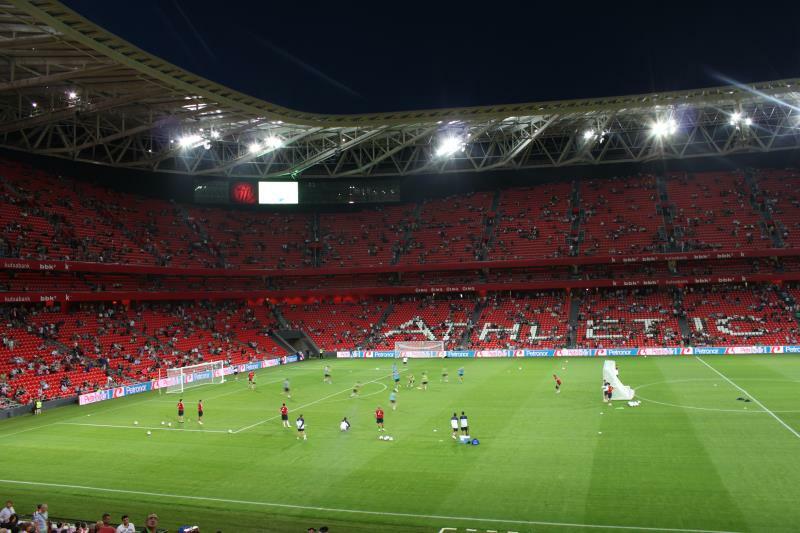 Athletic’s attendances have shot up since their move to a new stadium, however tickets for most matches will be available on the day. It is advised to book in advance though for the Madrid and Barcelona games as well as local derbies. Ticket prices can depend on the opponent, but typically range from €30.00 for a seat behind the goal to €110.00 for the best seats at one of the sides. Athletic-club.net – Official website of Athletic Club. Bilbao.net – Tourism website of the Bilbao city council. Metrobilbao.com – Information on the Bilbao metro. Euskotren.es – Information on the Euskotran system. I attended a match vs Real Madrid in 2015 (Athletic won 1-0). Nuevo San Mames is a fantastic stadium with a very nice Basque atmosphere and close to the city centre. You can be ‘against modern football’ but not if you have seen this beauty! As Athletic has an ‘only Basque players’ policy, it is a huge performance that they survive every season again and again in the primera division.